Historical Marker #1634 marks the earliest brick residence in Grayson County, as well as one of the oldest brick structures in west-central Kentucky. 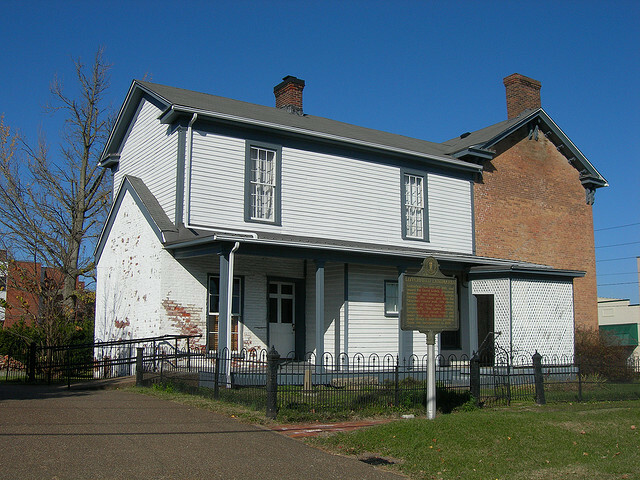 The Jack Thomas House was originally a one-story, two-room, brick building that was erected by Thomas around 1810. Thomas, from Elizabethtown, was appointed as Grayson County’s circuit and county court clerk. He served the county for forty-one years. This original building is now the south wing of the full house. Thomas married Jane Hundly shortly before building the original structure. 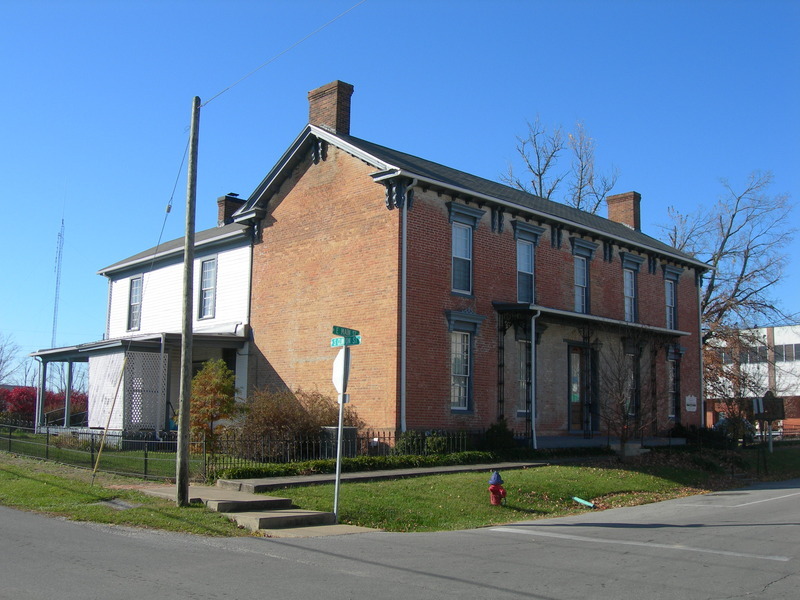 By 1840, Jack, Jane, and their eight children had outgrown the two-room house, so they added the large two story section of the home which faces East Main Street in Leitchfield, Kentucky. The couple’s son, Edwin, was appointed as the county clerk and served for nearly thirty years. After Jack Thomas died, Jane continued to live in the house until her death in 1871. After the Thomas family passed away, the house belonged to many different owners, including William Evans who ran a general store in Leitchfield, and George H. Gardner, the founder and president of the Leitchfield Deposit Bank. Gardener bought the house in 1884. The house was even made into apartments at some point in the twentieth century. The Leitchfield Deposit Bank was the final owner before the Grayson County Historical Society acquired it in 1978. Scheduled to be torn down and the land turned into a parking lot, the Historical Society, with the help of the Leitchfield’s Woman’s Club and other donors, was able to raise money to buy and save the building. It is currently the museum and library of the Grayson County Historical Society. Jack Thomas House: The headquarters for the Grayson County Historical Society is the Jack Thomas House. Note the front porch of iron which is reminiscent of old houses in the French Quarter in New Orleans. It is unclear as to the construction date of the iron grill. Courtesy of the Grayson County Historical Society. Jack Thomas House: The back of the Jack Thomas House. Courtesy of the Grayson County Historical Society. Ashlee Chilton , “Jack Thomas House,” ExploreKYHistory, accessed April 22, 2019, https://explorekyhistory.ky.gov/items/show/649.